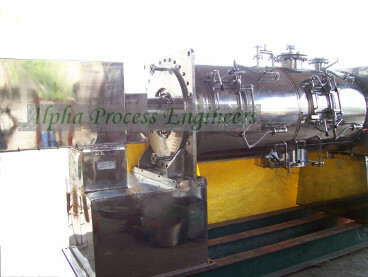 The Process of separation is widely classified into two major areas namely Solid-Liquid, Liquid-Liquid separations. The Operations that take place under separation are Sieving/Sifting, Evaporation, Distillation, Extraction, Filtration and Drying. These processes find application in the manufacture of Chemicals, Pharmaceuticals, Drugs, Food Processing Products, Sugars, Fruit Juices, Plastics etc segments of the process industry. The models and the specifications can be customized to meet customer requirements.